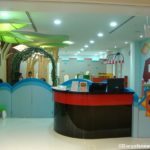 It is time to introduce another great online shop in Singapore which you can buy necessities you need when you are a new mom! 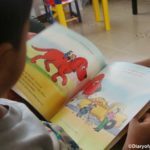 As my recent experience with products received from Babybuys.com.sg is really awesome, I want to share this review post together with individual reviews of the products I received with you all. Parenting is not so easy as there are many milestones to pass. From the day the infant is born, there are lot of responsibilities including feeding, diapering and of course raising them healthy and happy. What about travelling? 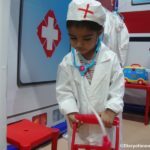 Even If you don’t want to travel overseas trips, you still need to prepare for hospital visits and other small trips such as grocery shopping. Throughout this journey, we need many products. 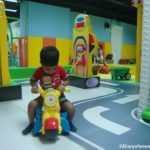 This is where online shops are really helpful for parents to find the necessities in just few clicks. 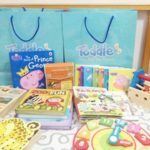 BabyBuys is another online shop which sells items for both moms and babies ranging from feeding, nursing, toys and diapering. There are many other products in their shop which you need to check! Other than buying for your babies, you will also find BabyBuys as a great place for find gifts for newly born babies! 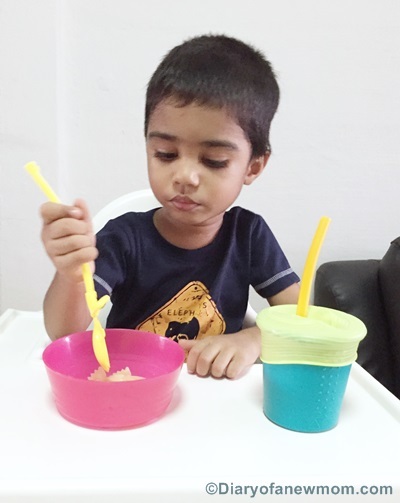 Recently we received these Sporkstix and silicone straw cup which are really helpful during the meal time. 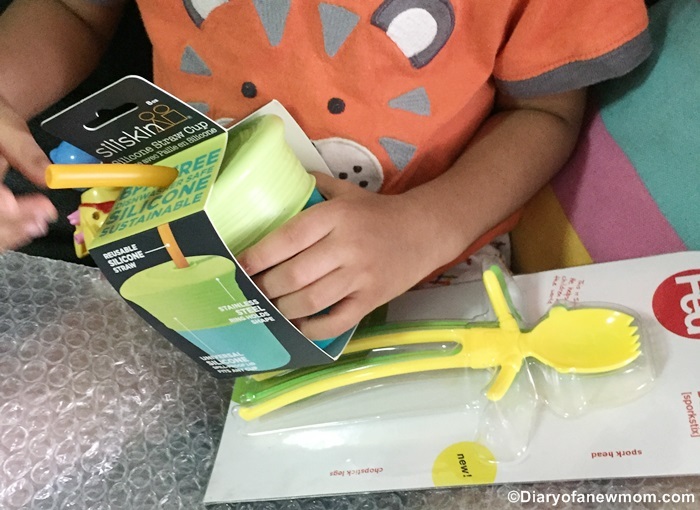 So, here is our review and experience with the Sporkstix and silicone straw cup! As the name suggests, this is a really fun eating device. Do you notice that it is a combination of spoon, fork and chopsticks? This sporkstix is great for kids to eat alone. 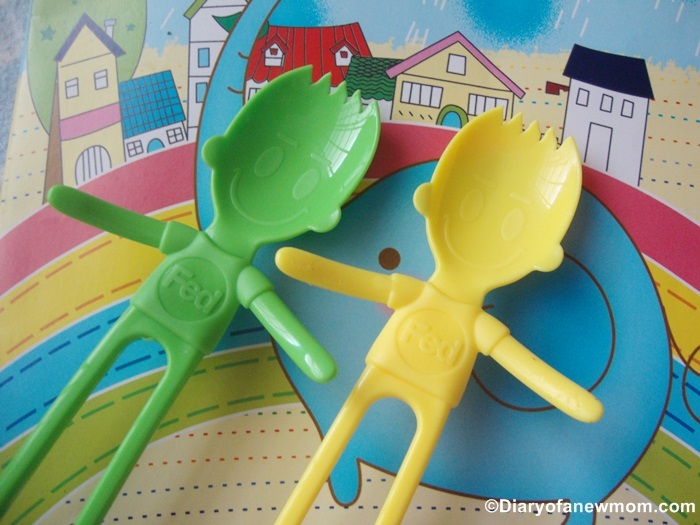 Instead of handling both fork and spoon or fork with chopsticks, they can start with sporkstix! Mommy, you also don’t have to wash so many items after the feeding time. It is common that most of the kids drop the spoon or fork while eating. But this sporkstix is really fun and interesting to use. My kid spent time trying to use it as a fork, spoon or as chopstick. It seems meal time is interesting for him with new experiments with food. Other than the benefits for feeding, below are some of the features of Fed sporkstix! -This item is dishwasher free. This Siliskin Silicone Straw cup is really awesome for kids simply because of the unique features it has. How many times you clean the floor when your kid spills water or any drink on the floor? Switching from the feeding bottle to Sippy cup needs lot of patience and care. Sometimes it is a total mess. Then, next transition is introducing the normal cups for drinking. This silicone straw cup is helpful for the transition as it ensure no more spills! This cup is bit heavy (not so light) and it comes with a spill proof lid. The reusable straw is soft and great for kids. Cleaning of this cup is really easy as you can remove the parts separately. Now our mealtime is more enjoyable and less mess with these new feeding items. My kid really loves the new cup and he enjoys drinking from it. When you shop with BabyBuys Singapore, use the coupon code 8CD5X and enjoy 5% discounts from your purchases. This is exclusively for Diary of a new mom readers and the coupon code will never expires! 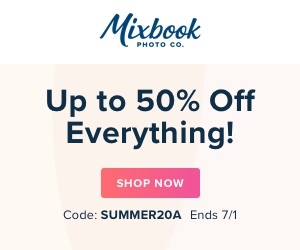 You can use the same coupon for your 2nd purchase and then next purchases too! BabyBuys carries many items that are essentials for moms and babies.Check their online shop at babybuys.com.sg for more details of the products. Now it is time for another giveaway. 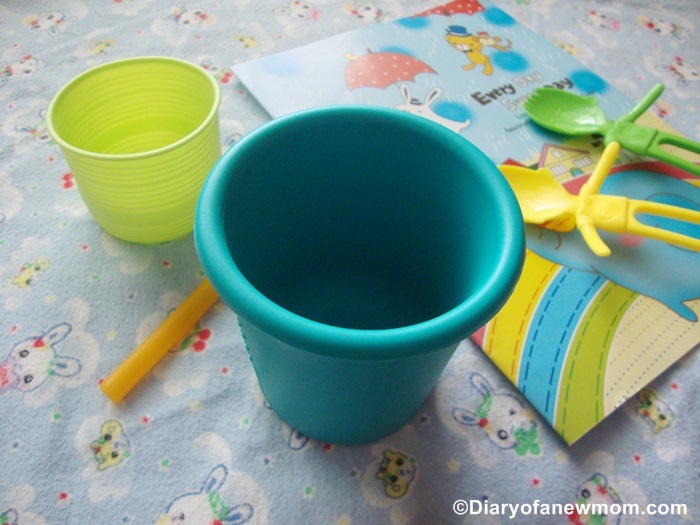 Team at BabyBuys kindly sponsor 2 prizes for 2 lucky readers of this blog.You can win either 1 set of Silikids Straw Cup or 1 set of Silikids Sippy Cup by entering into this giveaway. Here is how to do. -Simply use the rafflecopter to enter into the giveaway. 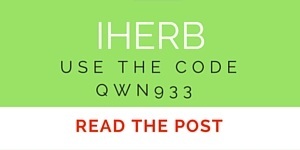 -By entering into the giveaway you agree to provide the mailing address if you win in order to send the prize. -Giveaway will end on 31st March 2017, 12am.We will contact the winners through a Facebook message or email. -Winners will be selected randomly using the rafflecopter entries.But we keep the right to disqualify the winners if they do not complete the entry requirements. Disclosure: We received above products in order to facilitate this review. However all opinions are mine. 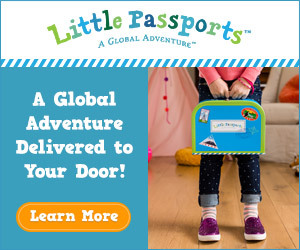 These look like really fun and functional items my son would love! I love trying out new cups with him and seeing how he does. These cups are great for training kids.No spilling! Will have to check this out for any girl. That Sportstix is such a great idea and how cute! Love the product. I was almost done with my entry when I learned the giveaway is for Singapore residents only. 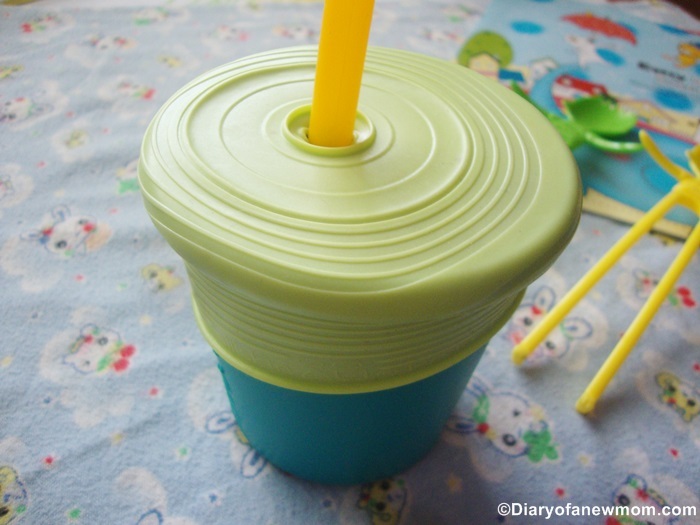 I am always in search for new cups with straw because my 19month old son just love using them now. He is becoming a picky eater but loves to drink a lot. So I use those straw cups to encourage him to drink milk. This looks nice. 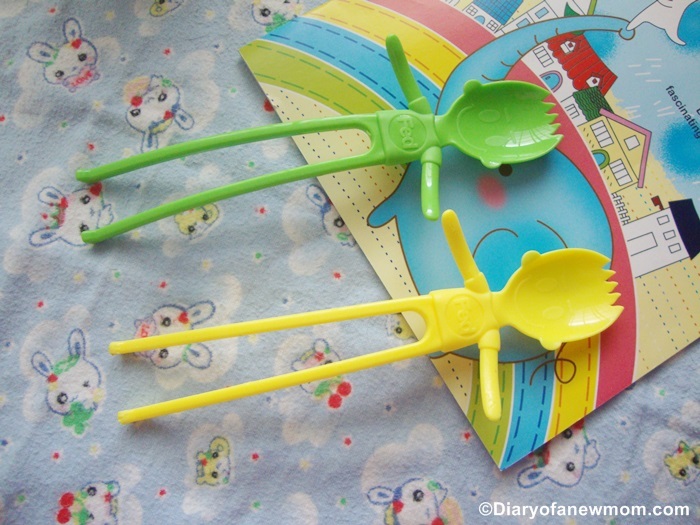 The design of the spoon is interesting and fun! I would love to try this. Joined the giveaway! These are great products! That spork is so fun. My son would love to play with it and use it for meal time. Thanks for highlighting these!